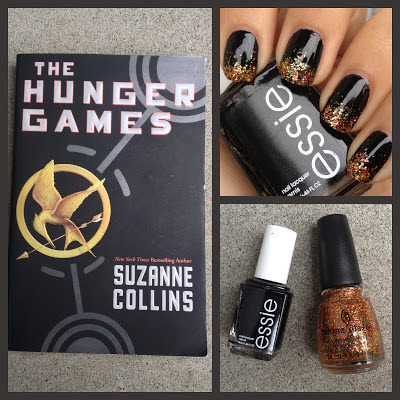 I'm very anxious for the release of Catching Fire and on a whim decided to do a Hunger Games inspired manicure. 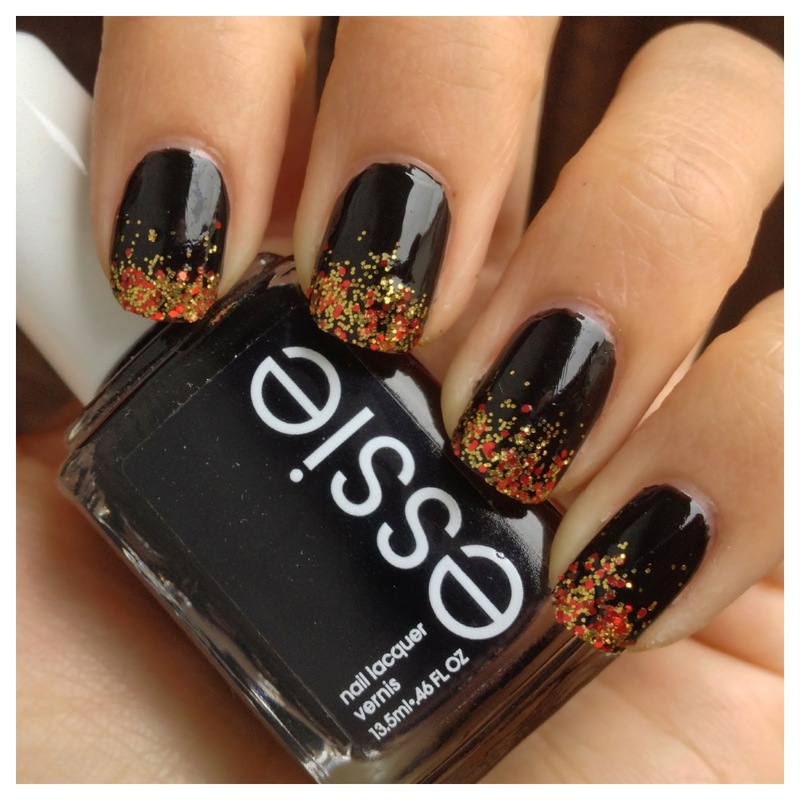 This look is inspired by how Katniss's nails supposedly resembled burning flames and is very, very simple. I've seen some crazy flame nail art out there, but that's far too advanced for me. So, instead, I just did a simple glittered tip that, in itself, resembles the look of rising flames. 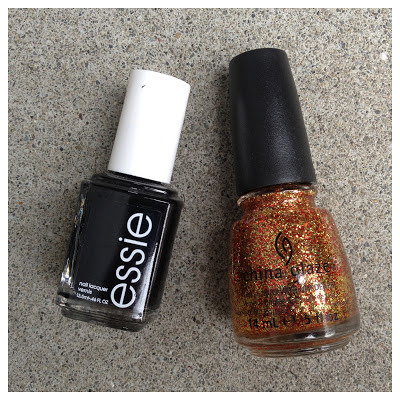 The result is a very simple glittered-tip manicure. 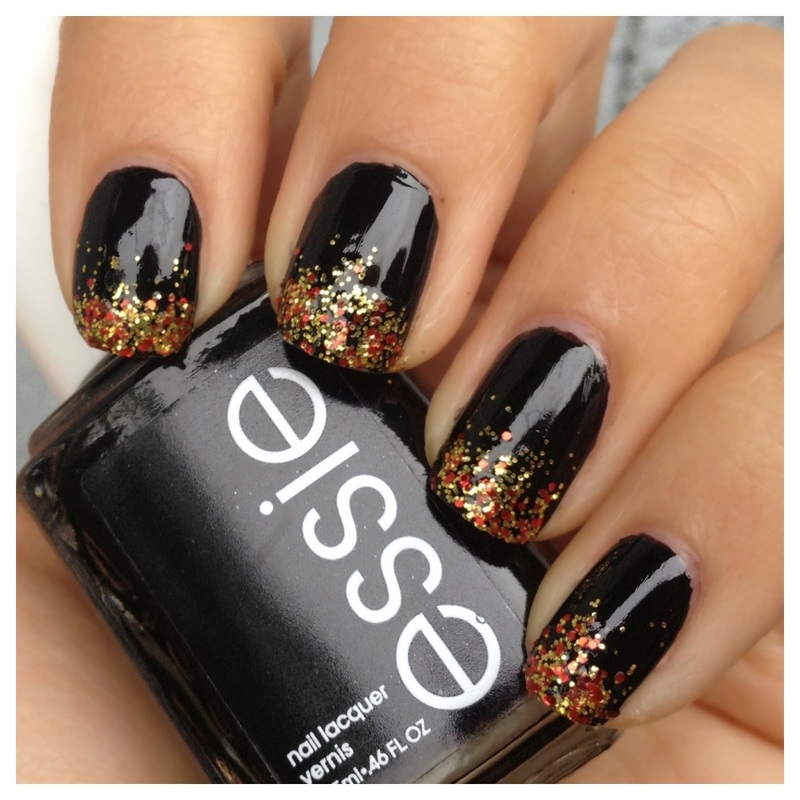 Perfect for those of us who are nail-art challenged. It's actually been raining the past couple days here in NorCal so this darker manicure feels very suiting. Woah, Electrify is gorgeous with black! That's a polish that's never been on my radar before but it's really, really pretty. Great job! beautiful! i really like the essie black polish.